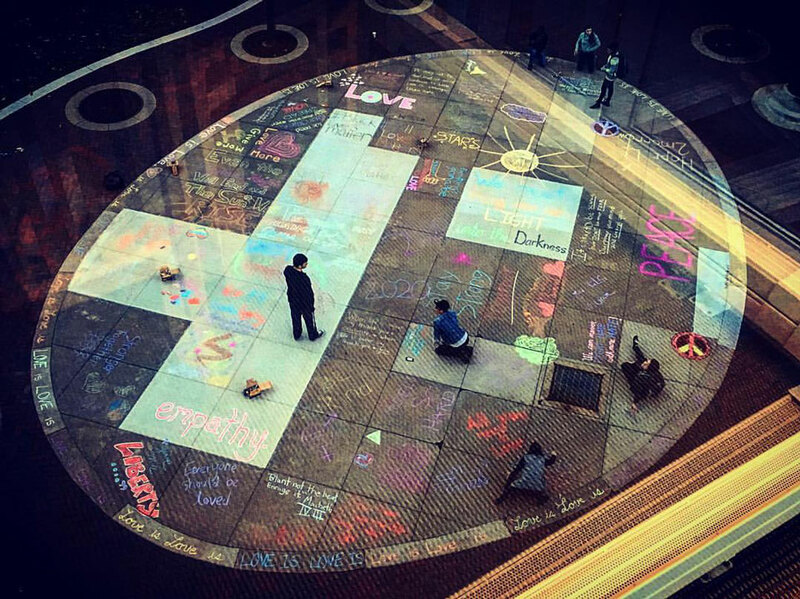 Webster community members joined in an expressive art chalking on Nov. 9 following Election Day in the U.S., share messages of hope and peace on the plaza between Emerson Library and the Sverdrup Complex. 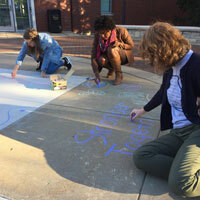 The event was organized by Webster senior Jared Campbell (Theatre Studies/Dramaturgy and Advertising/Marketing Communications) and junior Megan Price (Management Marketing). Art, Design and Art History professor Carol Hodson also came and spoke about the merits of expressive art therapy. "Now more than ever we desperately need opportunities to spread peace, hope, love, and light in even the darkest of moments," said Campbell. 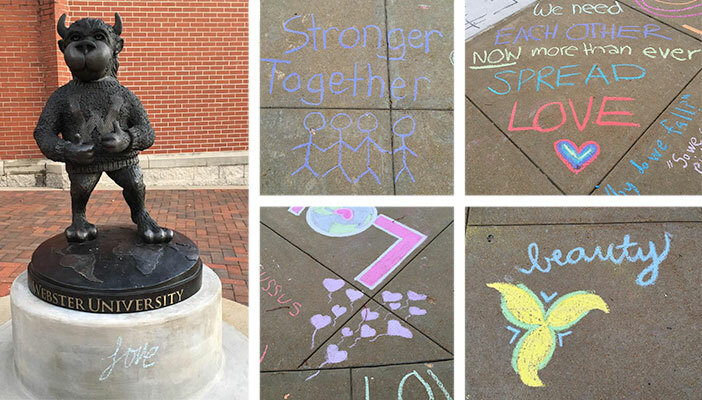 Click through to view more images of the chalk art expression at the University's Facebook page and President Stroble's Facebook page.